Busan is a wild tapestry of urban razzle dazzle and raffish traditions, simmered together in a heaving cauldron that flings and slings its beguiling decadence on anyone who gets close. With a population of approximately 3.6 million, it is the second-most populous city in South Korea. Attractions include Taejongdae, Gwangalli Beach, Haedong Yonggungsa and Beomeosa. 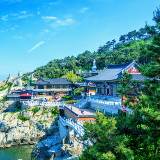 Get ready to lose yourself in the atomic energy of South Korea with cheap flights to Busan. Busan is home to Gimhae International Airport (PUS), which is a 1-hour drive from the Haeundae District. Five idyllic beaches dot the cobalt and velveteen coastline. Be awed by a sunset at Dadaepo, drift dreamily with the waves at Haeundae or indulge in sumptuous seafood at Gwanggalli. Curious attractions abound. Try exotic delicacies at Jagalchi Fish Market; peruse rare manuscripts in Bosu-dong Book Alley; or slip into one of the herbal hot springs in the Dongnae district. 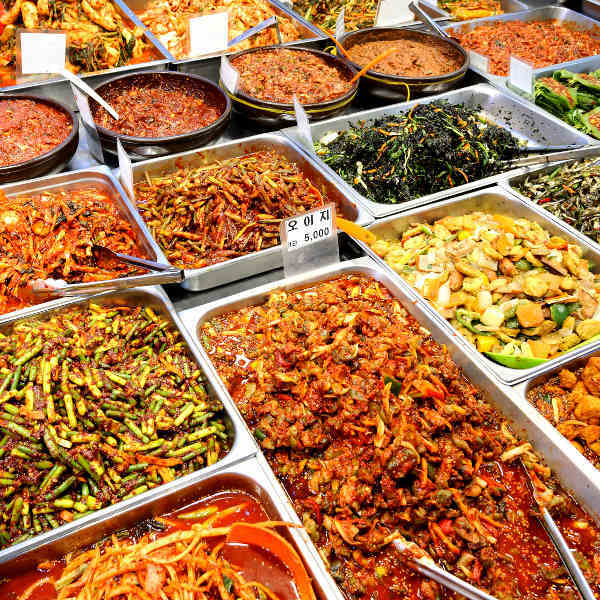 Venture into bristling markets and down fragrant alleys to discover a world of intoxicating Korean street food. Try spicy tteokbokki and ramen at Haeundae Beach or bibimbab in Meokja Alley. Busan experiences a humid subtropical climate with dry winters and wet summers. The weather is usually consistently temperate, rarely experiencing extreme highs or lows. Spring (March to June) is a fantastic time to visit Busan as flowers burst from their buds in dazzling shades and hues. Along with the fragrant cherry blossoms that famously adorn the landscape in spring, azaleas, lilacs, forsythias and magnolias can also be found clinging to green backdrops. Summer follows at the end of June and bathes the city in hot, humid weather until early September. Temperatures can reach up to 32 degrees Celsius, while typhoons and monsoons are also known to frequent the city during the summer months. Winter (December to March) is dry, but does bring minimal snowfall. For skiing and other winter sports, this is the best time to visit Busan. The city is spectacular in autumn (October to November) as skies are clear, temperatures are pleasant and sunshine casks a warm glow over the streets and landscape. Some of the earliest evidence of life in Busan can be traced into the mysterious depths of the Palaeolithic Age. Pottery and shells suggest the area was a fishing society. Although the city of Busan has managed to burst into the future, it has managed to retain some of its rustic charm and seafaring style. 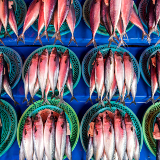 Busan defies the gleaming modernity of it neighbouring cities and opts for an easy going seaside lifestyle built around food, culture and subtle decadence. 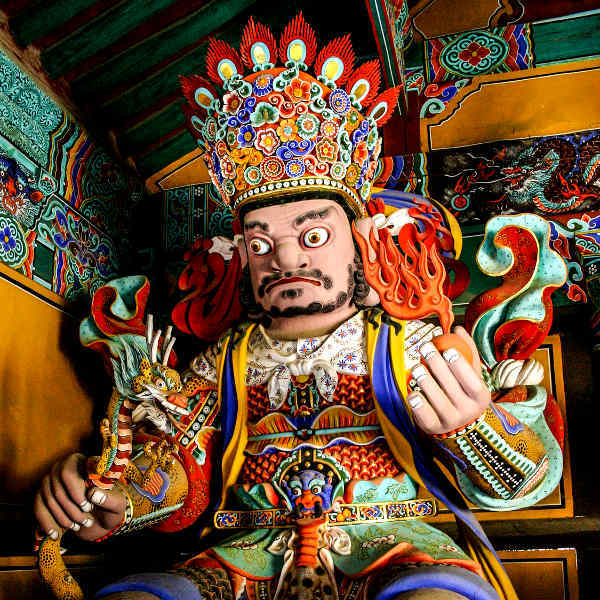 The peace and serenity of Beomeosa Temple colourful rustic façades of Gamcheon Cultural Village contrast curiously with the the silky curves of Songdo Beach and steaming Dongnae hot springs. Yet they somehow meld together seamlessly, retaining the electric energy of South Korea, but offering something entirely different. Busan is a place of vivacity, flavour and the soft glow of a divine paradise. 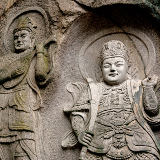 Compare several airlines and book your cheap flights to Busan online at Travelstart! Busan is considered safe. However, crime does happen, so it is advisable to take certain precautions and maintain vigilance as you would in any other unfamiliar city. Travel insurance to cover theft and medical expenses is highly recommended. Avoid public demonstrations and political rallies. Avoid carrying around large sums of cash, valuables and important documents, as pick-pocketing and bag snatching can happen. Avoid venturing out alone at night (especially if you are a woman). Only make use of marked taxis. Bottled water is recommended. Ensure food is cooked properly (especially meat and fish) and fruits and vegetables are carefully washed before use. Proof of yellow fever vaccination is required if you are travelling from an infected area. Other routine vaccinations include hepatitis A & B, typhoid, rabies, Japanese encephalitis, MMR, diphtheria, polio, tetanus, and malaria. Busan is a sprawling metropolis with a stellar selection of accommodation options. Cosmopolitan hotels gazing over the pulsing city streets, contemporary guest houses with roof top dining, luxurious bed and breakfasts and quirky hostels – accommodation in Busan is bountiful and world class. 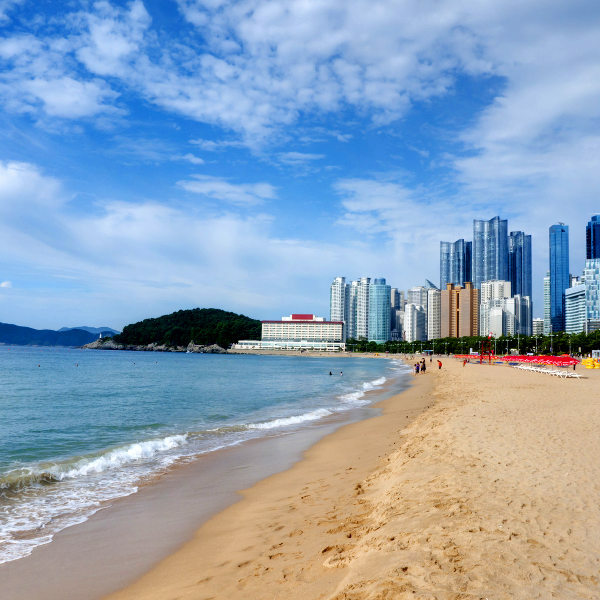 Haeundae is a great area if you want to be nestled in the heart of the glinting metropolis. Accommodation in Haeundae is mostly glitzy hotels and luxury apartments. A stay in Haeundae puts you within walking distance to Haeundae Beach, boutique shopping and superb restaurants. Dalmaji Hill offers a sanctuary from the frenetic hustle and bustle of the city centre. Likened to the Montmartre district in Paris, this scintillating district would suit travellers looking for a little bohemian charm and artistic flair. The metro is a safe, efficient and economical way to explore the city. Several lines pass through almost all the tourist destinations and fares are reasonable. Tickets can be purchased at the subway gate entrance and range from ‘single journey’, ‘one day pass’ and a rechargeable card. There are four types of taxis in Busan: TIP, deluxe, call and regular. Each offer different services and different fares. Taxis can be called, flagged or found at various terminals around the city. There are three types of buses in Busan: regular, express and late-night. Fares can be paid with cash, tokens, bus passes or a metro card. Bus drivers generally don’t speak English.